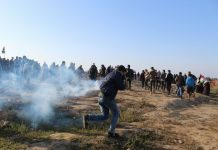 Yesterday, 06 February 2019, the Palestinian detainee who spent 28 years in the Israeli jails, Fares Mohammed Baroud (51), from al-Shati’ refugee camp in western Gaza City, died only hours after transferring him from “Ramon” Prison to “Soroka” Hospital in circumstances raising suspicions of deliberate medical negligence by the Israeli authorities, especially that he suffered problems in stomach, heart and liver. PCHR calls for an immediate and impartial investigation into the death circumstances of Baroud and is concerned that the Israeli authorities might have procrastinated providing Baroud the immediate and appropriate medical treatment. PCHR also condemns the Israeli authorities’ neglect of the recurrent calls to release him though they knew of the deterioration of his health condition. The Israeli forces arrested Baroud on 23 March 1991 and issued a life imprisonment sentence against him in addition to 35 years. 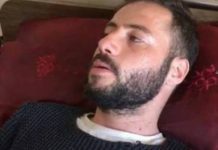 Baroud had suffered many health problems during his detention in the Israeli jails, including problems in stomach, kidney, liver and chest in addition to suffering asthma. He was also placed for years under solitary confinement; the last was for 4 years consecutively between 2012 and 2016, causing the deterioration of his health condition. 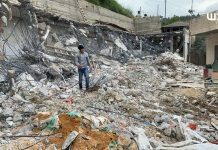 Last year, he underwent a surgery to remove part of his liver and suffered aftermath; however, the Israeli authorities did not offer him the adequate treatment. Yesterday, 06 February 2019, his health condition rapidly deteriorated and he was taken to “Soroko” Hospital in Beersheba in Israel where his death was declared only hours after his arrival at the hospital. Death of Baroud sheds light on the general deterioration of the Palestinian detainees’ conditions in the Israeli jails, showing the extent of the punitive measures taken against them, particularly the medical negligence they undergo and the inadequate treatment the hundreds of patients receive, particularly those suffering from chronic and serious diseases. Indicates the ongoing deterioration of the conditions of around 7,000 detainees, including dozens suffering chronic diseases and not receiving the adequate healthcare.